We all want to grow and improve our small businesses and networking, both online and offline, is one of the best ways of accomplishing this goal. Networking enables business owners to make new connections and to build long-term beneficial relationships with both others in their industry – and potential clients. Networking is nothing new – think about the traditional salesperson who used to close those big deals on the golf course! However, new technologies and, specifically, the internet, social media and targeted websites such as EasyWeddings.co.uk have opened new doors that you can use to expand your reach and gain new customers. Networking allows you to build relationships and trust. It’s not about pitching and selling, per se. You’ve taken the smartest step by advertising with EasyWeddings, Australia’s No.1 wedding website, but there are still things you can do to grow your business, build your brand and, well, meet people in the industry. Offline networking is the traditional way to get to know people, build trust and grow mutually beneficial relationships. If you’re attending expos and wedding events, remember that two people networking with brides is more effective than one. When it comes to fellow suppliers, don’t only talk to people you know. Mingle with strangers and enquire about their business and interests and remember to ask for their business cards. However, only give your business card to someone who asks for it. It is about quality, not quantity. No wedding happens with a single supplier, so it’s important you have good relations with your fellow suppliers who may also refer business to you. So, you should network with people in your industry and related industries to. Attend events or arrange your own. For example, you can arrange a party or a product launch and invite key players in your industry to it. That way, they get to know you, you get to know them and you can both refer work to one another. You can improve your relations with fellow suppliers by adding them to your Pro-Network on your Easy Weddings profile. This not only shows potential customers that you’re known by other players in the wedding industry, but that you are part of a large, established network of suppliers. This builds trust and confidence in your brand. If you can afford it, sponsor an event. It is a great way to extend your reach and make new contacts, especially in an allied field. If you are, for example, a photographer, volunteer to act as a judge at a local photography competition. 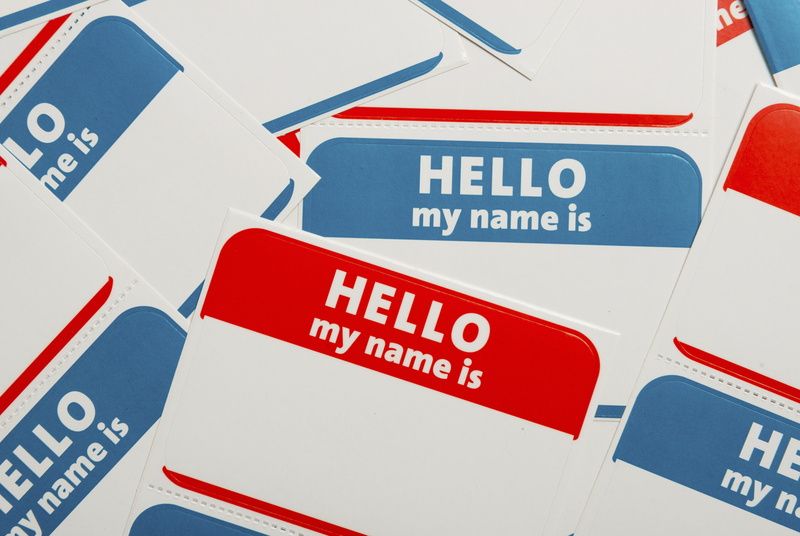 Get your business’ name out there! A snappy and well-designed real (not digital) business card is still a powerful and effective way to support your networking efforts. If someone asks you for your business card, it is because they are interested in your services and want to keep in touch. The phenomenal growth of the Internet and the explosion in mobile usage has opened a world of networking opportunities for small and large businesses alike. Whereas large businesses often focus on brand awareness, small business will be more interested in increased sales and profits. Here are some effective online opportunities that will you can use to network and improve customer acquisition. The big, well-known sites such as Facebook, Twitter and G+ are great for general networking but often it is more useful for the small business owner to network on a more focused level. Sites such as LinkedIn provide better opportunities to connect with like-minded people as well as potential partners, advisers and customers. Videos are a powerful form of marketing and networking. An interesting and well produced video engages people and they even have the potential to go viral. If possible, you should use sites such as YouTube and Vimeo to present and promote your wedding related videos and, of course, you should always add your best videos to your new Easy Weddings profile, which now allows you to display up to 10 videos! This is still one of the best and most effective ways of online marketing and networking. It gives you the opportunity to send your information-rich newsletters and related materials to your subscribers. This is a cost-effective networking system that helps you to build trust and gain the confidence of your subscribers. Eventually your subscribers will see you as a leader and expert in your field – one they will turn to for advice but also for their business needs when the time comes. It is a well established premise that people prefer to do business with those they like and trust. Networking, whether online or offline, is a catalyst for building relationships and trust. It is a great way to get people to like you and trust you and, not only can it help you improve and grow your business, it can help you grow your profits, too!